Hi friends! My first post-college summer is in full swing and amidst weekly (or daily) freakouts about life, I’ve finally emerged from a rough slump where I really wasn’t in the mood to take in any kind of cultural stuff. I wanted to share some things I’ve been loving lately that have made this transition into real life a little smoother. 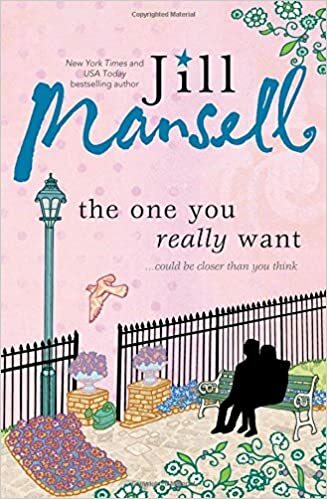 I read my first Jill Mansell book years ago and remember thinking it was just okay. Last month, I found myself in the mood for some of my beloved British contemporary fiction (the mood strikes whenever I’m particularly homesick for London, and what with everything going on in the UK in June, I guess it hit me hard). Having come across Mansell’s section on my library OverDrive, I downloaded one at random, Three Amazing Things About You, and quickly fell in love with Mansell’s style. It’s lighthearted, funny chick lit, but still so satisfying – I call her books the written equivalent of films like Love Actually. Is it too early to start getting excited about all of the new releases / premieres / openings of 2017? As far as I can remember, I’ve never really known of so much stuff that excites me this ahead of the new year. Most of my list relates to the first half of the year, meaning that time should fly leading up to these dates! I first mentioned this in my post about seeing Fiddler on the Roof on Broadway, and after seeing the cast’s emotions online after the production closed on Dec. 31, I’m even more excited for this book to come out. Written by the revival’s Tzeitel, Alexandra Silber (who also played Hodel in the last London production), After Anatevka explores what happens to Hodel and Perchik when they’re together in Siberia. I love historical fiction, and although it is one of my favorite musicals, Fiddler on the Roof has a pretty sad second act, ending with all of the characters’ fates up in the air. Even if this book does have a grim ending, I think this is such a cool and personal project for someone like Silber to take on. The book comes out on the Fourth of July, and I’ll definitely be trying it out!